Decorative clear crystal glass bowl like ice rocks by Humppila Finland, hand signed underneath and marked with label inside. 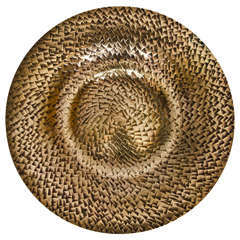 Humppila Glass was founded in Finland in 1952 and designed by Pertti Santalahti in the 1970's. 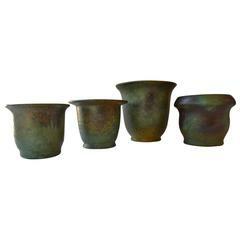 Group of four vases in different sizes with lively patina in oxidized colors. 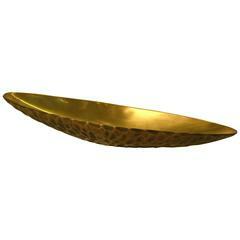 Hand formed and hand beaten bronze dish scaled with triangular markings over its surface. Stamped Kopo Metal.